My friends all know that I love a good blazer. You as a reader might also be familiar with a certain cobalt blue one that I possibly have over-worn on my blog in 2015, haha. The thing is, there’s just something about them that makes me grab for them over and over again. The “in-between seasons” are my favorite times to wear my blazers. 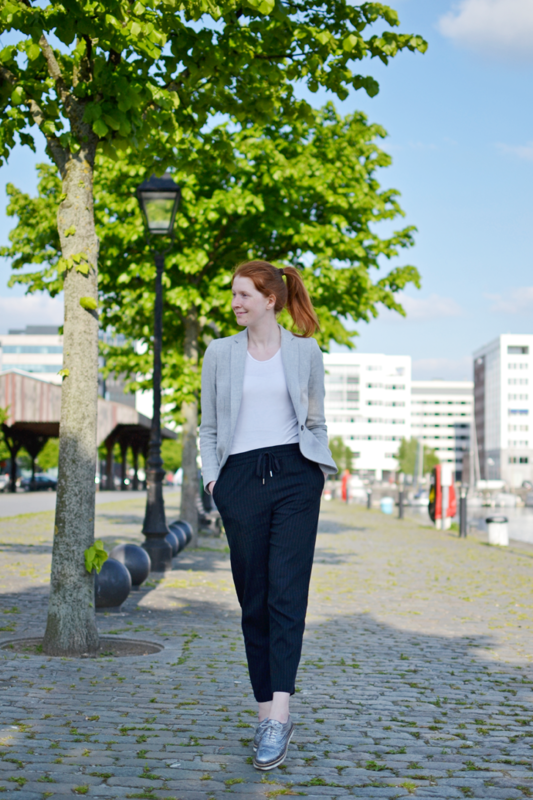 Last week, when the temperatures suddenly fell below 10°c again, going outside without a coat was not an option but I was SO tired of my same old winter coat. My solution? A few cozy layers topped off with a nice and tailored-fit blazer. My favorite place to shop for blazers is definitely Massimo Dutti. Now that I think of it, Massimo Dutti is actually my favorite place to shop for everything. Another good one is J.Crew. Their classic Schoolboy Blazer has been on my wishlist for years now and I think I’m going to treat myself to one next fall. Being the tomboy that I am I styled my current favorite with my old pair of striped joggers and topped the look off with my silver plateau brogues from last year. Hands in my pocket and ready to shoot! I loved twirling around the lanterns and climbing on the concrete blocks for this shoot. It doesn’t always have to be too serious, now does it? I wish you all a happy week! Love that blazer! It’s perfect. While it is a nice blazer, I’m loving the pinstriped drawstring waist pants! What a comfortable pair but in such a serious print – you could wear these so many places. And they do look great with your grey blazer. I’m looking forward to getting my blazers out soon too, it’s gotten a little warmer again so I might actually have to wait for winter! Wat een leuke, vrolijke foto’s! 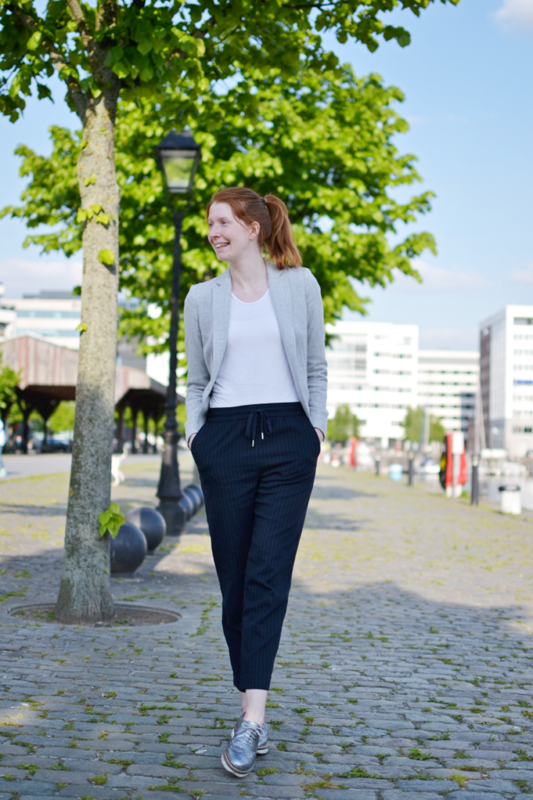 😀 Je blazer is zo leuk, zeker met die broek onder.